Emirates, the world’s best airline according to TripAdvisor 2017, today announced its plan to launch a new, five times a week, service from Dubai to Santiago International Airport (SCL), via the Brazilian city of Sao Paulo, starting on July 5, 2018. Flight EK263 will depart Dubai on Tuesdays, Thursdays, Fridays, Saturday and Sundays at 09:05hrs local time, arriving in Sao Paulo at 17:00, before departing again at 18:30 and arriving into Santiago at 21:40 on the same day. The return flight EK264 will depart Santiago on Mondays, Wednesdays, Fridays, Saturday and Sundays at 01:10 local time, arriving in Sao Paulo at 05:55. EK264 will depart once again from Sao Paulo at 07:45 bound for Dubai where it will arrive at 05:15 the next day. 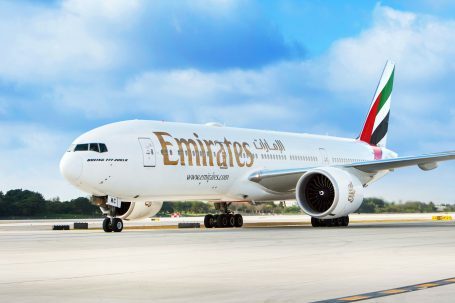 Timings of the new service are scheduled to allow for seamless connections to many Asian and Middle East routes, via a convenient stopover in Dubai. Passengers travelling from Sao Paulo will now benefit from a morning departure in Sao Paulo and morning arrival in Dubai, making connecting to new destinations Southeast Asia, China and Middle East more convenient. Santiago, the first destination in Chile to be served by Emirates, is the largest city of Chile accounting for nearly half of the nation’s GDP. Chile’s capital is developing its reputation for being an incubator for major universities, large global companies and budding start-ups thanks to a growing population of well-educated young professionals. Strengthening its position towards a more productive, technology-intensive economy many global companies and conglomerates have their headquarters or regional offices in the city centre. Chile is also the world’s largest producer of copper. The city offers everything a visitor could want, from shopping at some of the largest malls in the region to dining options which will spoil anyone for choice. Dubai has seen the addition of several new attractions in the last year. Among the latest must-see places in the dynamic city are Dubai Parks and Resorts which features three distinct theme parks – Motiongate™, Bollywood Parks™ and LEGOLAND®. Spread over 25 million square feet, and equivalent to 420 football fields, the parks combined have more than 100 rides and attractions. Other tourist hot-spots inaugurated in 2016 include IMG World of Adventures – the largest indoor theme park in the world, Dubai Safari Park – a 119 hectare wildlife park home to over 2,500 animals and the Dubai water canal – a 3.2km long waterway which winds its way to the Arabian Gulf from the Creek in Old Dubai. All travellers can take in the sights of the Burj Khalifa, the world’s tallest building, the Dubai Fountain which dances to a set of music for onlookers, and of course, experience desert camel rides and dinner under the stars at a Bedouin style camp.